Explore caves and corvettes in Bowling Green, Kentucky. Lost River Cave, an underground boat tour, provides a 20 minute boat ride into the 55 degree cave sanctuary. Inside are natural rock formations along the cave walls. The Old Mill gift shop has charming artifacts and souvenirs, from fossils and rocks to local food products. Young explorers will enjoy participating in a rock dig or fossil find. Sifting through the sand, younger visitors can find treasures. Bring walking shoes and enjoy a hike on the scenic trails. Learn about geocaching, an interactive treasure hunt that uses latitude/longitude coordinates and GPS technology to find caches all over the world. Enjoy events as the Annual Butterfly Celebration at the Charles W. Miller Butterfly Habitat . Visit www.lostrivercave.com for more information. After exploring natural rock formations, cruise on over to the Corvette Museum. Corvette fans will gain valuable insight with the timeline of the classic American sports car. Another impressive area is the Sky-dome in the Museum, 140 feet in diameter with a nearly 100-foot high glass ceiling. Cars in this area, as in every part of the Museum, are continuously rotated. The Skydome features production vehicles on-loan from private owners as well as from auto shows around the world. Rare Corvette collectibles can be viewed within display areas. Each year a selection of individuals are honored for their contributions to the car within the Corvette Hall of Fame. Inductees are spotlighted within the spire of the dome with information and video clips on each inductee on kiosks. Kids will enjoy the interactive play area which peak their scientific curiosity. Top off the tour with a bite to eat at the Corvette Café. The Café is a 50’s-themed diner open for breakfast Monday through Saturday and lunch daily until 3:30 p.m. Choose from a burger and hand-spun shake, wraps, soup, salad, sandwiches and many other favorites hot off the grill. 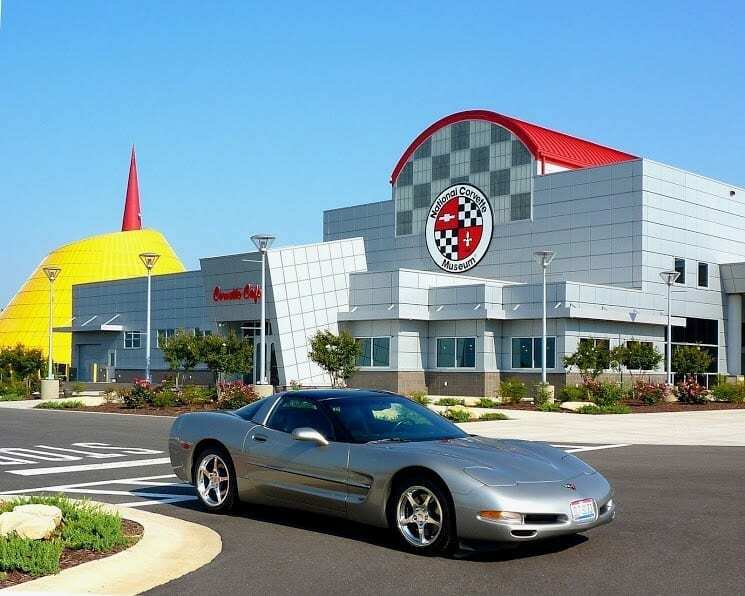 The National Corvette Museum opened in 1994 as an educational tribute to America’s sports car. Since 1981, every Corvette has been assembled at the General Motors Bowling Green Assembly Plant located just ¼ mile from the National Corvette Museum. Both the Museum and Assembly Plant offer tours to the public. Visit www.corvettemuseum.com for more information.